2018 was rife with market volatility, political upheaval, climate disasters, personal data dystopia, global economic uncertainty and much more. The general view seems to be expect more of the same for 2019. After the Brexit vote and Trump’s election in 2016, economists, analysts and investors were pretty fearful about market prospects for 2017, yet it turned out to be a fantastic year for the global economy. Then, at the end of 2017, there was a real sentiment of optimism for 2018, which turned out to be a very disappointing year pretty much everywhere apart from the US. Now, there is widespread doom and gloom for 2019. So the question is; will things pick up, making the forecast wrong for the third year in a row or are the pessimists going to be proved right? Political and economic uncertainty has been driving volatility on a global scale and nowhere more than the UK where both international and domestic investors have been fleeing in their droves as Brexit and government in-fighting has heightened fear even further. Expect pockets of opportunity rather than sweeping market wide moves in 2019. To use an old Wall Street adage, it will be “less a stock market and more a market of stocks”. According to the Bank of America Merrill Lynch fund manager survey, a well-regarded barometer of global sentiment, investors are net 39% underweight the UK, down 12 percentage points since November. This is the second largest underweight figure on record. With sentiment so sour and with intense volatility, sometimes there is nowhere to go but up. Outlook for 2019 is confusing with a slowing economy, unsettled politics and increasingly attractive valuations of UK assets approaching historically cheap absolute and relative valuations. In December 2018 the UK stock market was trading at an average price-to-earnings ratio of 12 times, compared to 14 times for continental Europe and 17 times for the US. 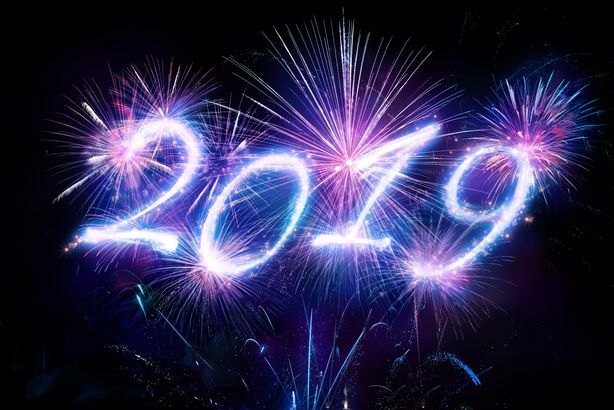 Although Brexit continues to weigh on investor sentiment, the number of unloved companies could make 2019 a surprisingly positive year for investors brave enough to buy UK equities. Emerging market stocks are also being widely tipped as they are trading at almost twice the normal discount to stocks in developed markets. The more optimistic investor will view this dip as a potential buying opportunity, but with political uncertainty intensifying on both sides of the Atlantic, it is a fine balance between FOMO (Fear of Missing Out) against FOLM (Fear of Losing Money). Investors in the latter camp are turning to cash and super defensive stocks such as utilities and healthcare. An anomaly is that younger investors are holding more cash than their older counterparts. One theory is that they’re holding cash in anticipation of further falls, at which point they will pile back in. Alternatively, they might just be sitting on their hands as they do not know what to buy. That seems unlikely as younger investors tend to be much more global in their outlook, compared to older investors, and are much more comfortable buying stocks on other exchanges particularly tech. 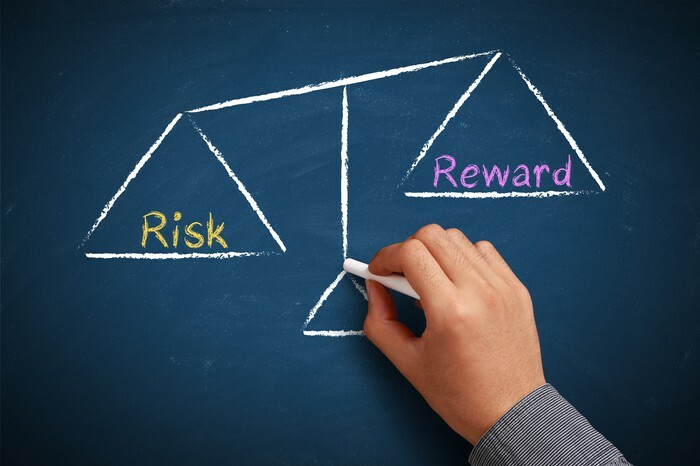 As always investors should beware value traps – buying shares just because they look cheap. Growth at a Reasonable Price (GARP) investing is always preferable, a model followed most famously by Warren Buffett. Dividend growth and falling share prices has pushed the yield on UK shares to 4.4%. (The Times 28.01.19) Dividends paid out by the UK’s blue chip index are forecast to hit a new all-time high of £93.7 billion in 2019. (AJ Bell You Invest 16.01.19) This might appeal to investors when compared to the Bank of England base rate of 0.75% and the 1.23% yield on ten year Gilts. The level of economic uncertainty could lead to greater dividend growth as companies holding back on spending, leads to healthier balance sheets and increased dividend payments to investors. For the past decade shares have consistently outperformed government bonds, with investors being rightly compensated for the higher risks associated with investing in companies. This actually reversed the trend from the 1960s through to the end of the 1990s, where equity yields were typically only half the level of gilt yields. Dividend yields have not been this high since 2008 when markets were gripped by the financial crisis and before that in the 1991 recession. For investors taking a long term view, UK equities could offer great value. 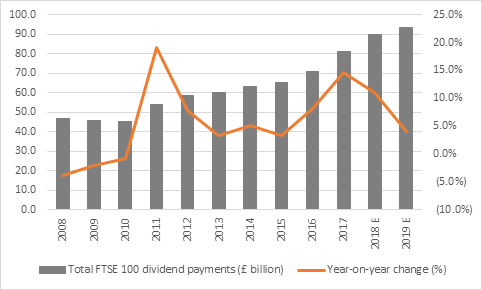 Earnings cover for the FTSE 100 dividends will be 1.79 times for 2019 according to analysts’ forecasts. Although this is a four-year high, earnings cover has remained below the comfort zone of 2 times or more since 2014. Two times cover is generally accepted to offer the requisite margin of safety to dividend payments, should there be a sudden and unexpected downturn in trading for a specific company or indeed the UK and global economies as a whole. Is the current market correction a necessary pause in the longest bull market ever (with its 10th birthday in March), so the market can take stock before continuing higher or is it the beginning of the end of the Bull Run? Bear market downturns tend to precede economic recessions by between six and twelve months, on average. There has been much talk of an impending global recession. In the US, they are experiencing much higher growth than Europe and the UK, super boosted by Trump’s tax cuts. Such growth cannot last forever and focus has turned to the narrowing spread between long term and short terms government bond yields. The difference between three and five year Treasuries dropped below zero in December 2018. This is known as an “inverted yield curve” and historically has been a strong indicator of a recession around the corner. The general consensus seems to be that the US economy growth will start to slow down in 2019, companies will still increase profits but at a slower pace than before. Portfolios need to be properly diversified to be able to withstand whatever comes and reflect the investor’s risk profile. In times of uncertainty, investors should rebalance portfolios regularly by cashing in on winners and adding to worthy laggards. Exiting bull markets too early can prove very costly as the biggest gains tend to come in the first tenth and the last tenth of a bull market. This would suggest it is best not to make all or nothing decisions at this time. Investing for value, rather than for growth, is only for experienced, active investors. If you deem a stock as cheap and you buy it and then it rallies, the reason for buying no longer holds – you need to sell and look elsewhere. Value investing requires an intense and dynamic approach to portfolio management. Morgan Stanley recently calculated that 21 major asset classes around the world are negative for 2018 in real terms. We haven’t seen that since the 1970’s, evidence of how quantitative tightening has changed the game for many investors. Once again, this indicates that balanced portfolios need to be well diversified across a range of asset classes. While large-cap business are generally impacted by macro factors, the agility and niche positioning of smaller companies may allow them to react positively to broader economic headwinds. Against this back drop, expect well-run businesses with low debt levels to prosper. If investing for growth, look for smaller companies whose balance sheet can withstand a period of economic weakness and the valuation provides a margin of safety. Companies with must-have technology can be a good bet in uncertain economic environments. This is because if we see continued growth, companies have more spending power and will be intent on adopting new technology to develop an edge over competitors; equally if there is a recession many market leaders will be look to cut costs to maintain margins and as such will be more inclined to adopt innovative technology especially if they are easy to use and reduce overheads. Artificial Intelligence (AI) – from Siri and Alexa to autonomous vehicles and facial recognition there is a dizzying array of AI applications on the table right now. This is set to continue in 2019 with new developments in AI being applied to existing technologies. To read more on Artificial Intelligence click HERE. Blockchain –widely recognised as the technology behind Bitcoin but 2019 will see blockchain technology used in a wide ranging array of applications and sectors. Development will continue within the education, banking, healthcare, finance, government and technology sectors. To read more on Blockchain Technology click HERE. The first thing to acknowledge is that the UK economy is not the UK equity market. Approximately 70% of the FTSE 100’s earnings come from overseas. On a hard Brexit, sterling is widely forecast to take a battering and head towards $1.10 against the US dollar but the FTSE 100 would most likely move in the opposite direction as it is dominated by US dollar and euro earners who would experience a boost when they convert back to sterling. The recent rally in sterling has assumed that the rejection of Theresa May’s deal makes a softer Brexit more likely. A stronger pound is good news for UK domestic stocks. Fund managers who believe the Government (or Parliament) will steer us towards some sort of Brexit agreement, are building positions in domestically focused equities. Whereas, those that believe the UK in inexorably heading towards no deal may focus more on internationally focused large-caps. For the past twenty or thirty years, investors have not really had to take politics into account too much. We’re now getting to back to the point where we were in the 1970’s, when things were so intertwined. Investors now have to look at and understand all sorts of things they didn’t before, which could be good for stock pickers in 2019. Bold investors, looking for investment opportunities created by market uncertainty, will be hoping that fortune favours the brave. CSS Partners has raised over £170m for entrepreneurial companies since 2001. To learn more about how we enable private investors seeking higher capital growth to invest with confidence in smaller companies click HERE. Investments offered by CSS Partners are not appropriate for all investors. Our free client service aims to be of benefit to high net worth and sophisticated investors looking to achieve higher returns.